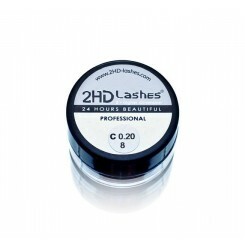 2HD Lashes® name stands for glamorous highest quality mink eyelashes that will easily create a perfect look. Soft and flexible mink lashes will keep their shape under all conditions. Choose from multiple curves, lengths, thicknesses and colors. 2HD Lashes® Mink A very unique effect is achieved thanks to the 2HD Lashes® lashes being made using 2HD Lashes® company's patented technology. The lashes are extremely stable, elastic, never lose curve even at high temperature conditions, lashes endings do not split. "Soft & light" lash..
2HD Lashes® -"Soft & light" type. Individual separate lashes. "Soft & light" lashes - identical to human hair. A very unique effect is achieved thanks to the 2HD Lashes® lashes being made using 2HD Lashes® company's patented technology. The lashes are extremely stable, elastic, never los..
4 x 0.5g. blakstienų "Soft & light" type. Curve, thickness ans size of the lashes are chosen along individual needs. .. The best product for the best results. Bestie Lashes is a new line of 2HD Lashes®, offering more sizes, lenghts and curves, so you can make a perfect set, whether its Classical one-to-one or Volume extensions. Customize the effect from natural to extreme drama. 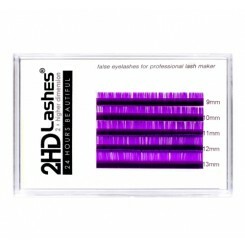 Enhance natural beauty wi..
Violet lashes for professional eyelash extension are now available. Colour up & enhance your client's look! 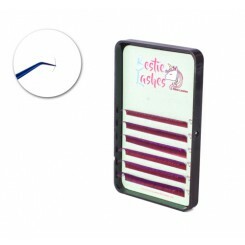 Classy violet will add a chic magic touch to your eyelash extension set. Tray: 6 lines ..
Super New 2hd-lashes line the Bestie lashes is finally arrived! 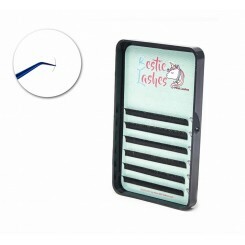 It is extremely soft and easy fanning lashes. 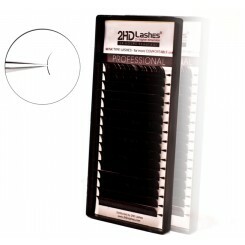 The lash strip is a bit stickier as our classic 2hd-lashes volume line, this makes the fanning much easier. 12 lines box. Available Curve: C CC D ( most curly) Thickness: 0.03 ..
NEW IN! 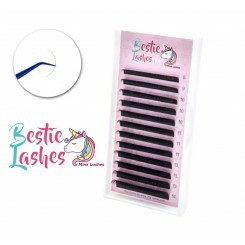 BESTIE LASHES D 0.10 New 2HD-lashes line Bestie Lashes have become a hit in lash world and now we offer one more size to make your work even better! D 0.10 lashes available 8/9/10/11/12/13 12 lines box. It is extremely soft and easy fann.. The best product for the best results. Bestie Lashes is a new line of 2HD Lashes®, offering more sizes, lenghts and curves, so you can make a perfect set, whether its Classical one-to-one or Volume extensions. Customize the effect from natural to extreme drama. Enhance natural beauty with Bestie ..
Our fantasy colours will make your client's eye colour pop. Add a special colorful touch to black or brown extensions and enjoy wonderful results. Colour: PINK, PURPLE, BLUE, DARK BROWN & LIGHT BROWN. 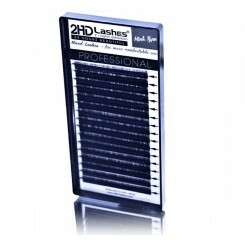 All 2HD-Lashes are packed in trays with a lenght indicator. 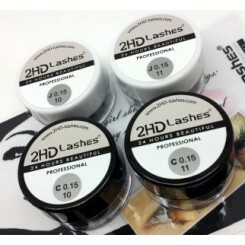 For your comfort yo..
2HD Lashes® Mink MIX Palette - all needed lenghts in one box! Particulary comfortable by working with rarely used thick sizes. Packing includes even 16 lines 8x1 9x2 10x3 11x5 12x4 13x1 14x1 A very unique effect is achieved thanks to the 2HD Lashes® lashes b..
New In! Bestie Lashes Mini Lash Box for inner eye corners and lower lashes extensions. Soft and flexible. Must have for every lash maker, who seeks perfection. ..